 Sportswriter Keown's offers a proficient chronicle of the 1992-1993 basketball season at Oakland's Skyline High School, a place so prone to violence that there are no proms or dances, fans and gangs attack players, and ``every game is a retribution.'' Hired just two weeks before the season, even Shawn Donlea saw his first head coaching job as hardly a dream come true. He'd be paid $3,300 to coach both the junior and senior varsity. A white man with no experience of the inner city, his ``basketball knowledge was vast, but it was university-bred'' and had little relationship to the in-your-face street game played by his new charges. 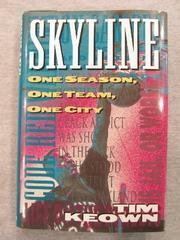 With a mediocre preseason, Skyline had little chance of making the playoffs in the tough Oakland Athletic League (OAL). Donlea and his players got off to a rocky start: ``They don't listen, and I'm all talked out.'' He had plenty of talent to work with (though as Keown notes, some of the school's best players were academically ineligible), including senior Will Blackwell, a Parade football All-American; David Strom, a 5-foot-11-inch point guard, the only white player in the OAL; and high-scoring, trash-talking Jason Wright, whose ``style'' conflicted with the coach's ideas of team play. The Titans won their share of games and qualified for the playoffs when Blackwell went down with an injury. He returned in time for a second meeting with Castlemont and scored 28 points, with 16 rebounds. A low point came against rival Fremont when they blew an 18-point lead and Donlea and Wright got into a shouting match. Relations improved when Skyline got revenge by beating Fremont in the first round of the playoffs. They fell to McClymonds, a state-ranked team with a 24-0 record. The season ended with tears of reconciliation and with the coach and young Wright enthusing about ``next year.'' Keown is especially good in his profiles of the kids, their families, and the conditions in which they live. His treatment compares favorably with Daniel Coyle's Hardball (11/15), a look at baseball in the Chicago projects.